Who is Brig. Gen. Tin Ko Ko? YANGON — Members of the opposition Union Solidarity and Development Party (USDP) vowed to strongly object to granting freedom of movement to national verification card (NVC) holders from Rakhine State. Last week, a delegation led by Social Welfare Minister Dr. Win Myat Aye visited Rohingya refugees camps in neighboring Bangladesh. Afterward, they held a press conference in Yangon where they stated that the Myanmar government would grant freedom of movement, access to healthcare and education, and the ability to cross international borders if returnees hold NVC cards. Dr. Win Myat Aye, Muslim and Hindu religious leaders explained to the refugees the potential advantages of the NVCs, despite people’s mistrust. During the press briefing, the social welfare minister also stated that cardholders could fill out an associated immigration form at the Immigration Department and then receive citizenship within five months. In response, USDP spokesman Dr. Nanda Hla Myint told reporters at party headquarters in Yangon that the party will not accept the government plan, and that it will strongly oppose it along with other party alliances and nationalist groups. “Regarding this issue, our party will submit an urgent proposal to Parliament during the upcoming regular session,” he said. National verification cards were introduced by former President U Thein Sein’s administration as a replacement for white cards, or temporary registration cards. The government has said the Rohingya, an ethnicity not officially recognized in Myanmar, must undergo a verification process in line with the 1982 Citizenship Law and accept NVCs before they can become citizens. Being granted a NVC does not guarantee citizenship, but holders of the card are able to apply for citizenship through a formal process. A sample of Form (4), locally known as the travel permit for the Rohingya community in Rakhine State. USDP spokesman Dr. Nanda Hla Myint told The Irrawaddy that it is clearly stated on NVCs that cardholders are not recognized as citizens. He added that the immigration form that Dr. Win Myat Aye referred to – Form 4 – was designated for non-citizens. 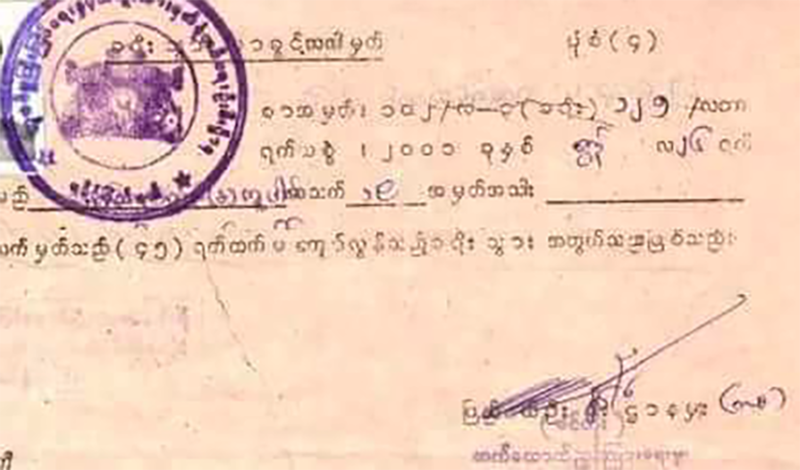 Previous governments used the form to issue permits for travel, health and education, but even once approved, the permits did not allow for more than 45 days of travel outside of Rakhine State and regional authorities needed to be notified of travel 24 hours in advance of every arrival and departure within that timeframe. “We use Form (4) as a control mechanism for non-citizens, similar to how we used to use the Guest Registration Law or State Surveillance Law. If everyone is allowed to travel freely around the country, we lose that control,” Dr. Nanda Hla Myint said. The USDP spokesman said he is seriously concerned about state security if NVC holders are permitted freedom of movement. Some Arakanese social activists have voiced that they believe the USDP is taking this stance to seek public support and political advantage. The USDP spokesman responded by saying that this would not win the party the next election. “We are just emphasizing national interests and pointing out that the NLD is slipping from procedure,” he said. Many people assume that the Arakanese often hold the opposite stance of the Rohingya Muslims. 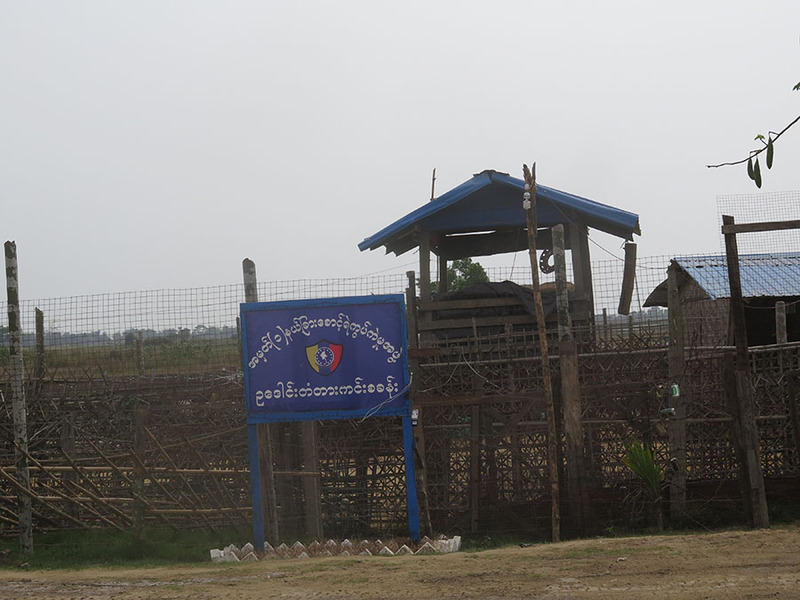 But on this issue, the Arakanese community, Arakan National Party lawmakers and civil society groups have largely remained silent or criticized the USDP stance on freedom of movement for NVC holders. The Irrawaddy conducted a mini-survey of 40 Arakanese via messenger regarding the issue. The participants were activists, politicians, civil servants and educated workers, primarily living in Rakhine and Yangon. Of those who responded, 27 answered in support of freedom of movement for NVC holders, 2 voted against and 2 abstained. Ethnic Arakanese U Win Aung said that the NVC was similar to white cards, which at one time allowed holders to vote – one of the highest rights of a citizen. That right was later revoked. “If the previous government allowed these cardholders voting rights, why should we object to freedom of movement for NVC holders?” he asked. In Naypyitaw on Thursday, the Labor, Immigration, and Population Minister U Thein Swe said that people were misinterpreting the freedom of movement that would be granted, and that there were more steps than were being stated. “What the media recently reported about NVC holders being able to freely travel anywhere in the country is wrong,” he said. According to him, travel would still be limited and the NVC was only an initial step in recognizing residency. After filling out Form (4), applicants would have their documents checked and need approval from township, district, state and the central government before being granted citizenship in line with the 1982 Citizenship Law. He did not elaborate on the immigration form and it is unclear how it will be used under the National League for Democracy (NLD) government. The form was created during the State Peace and Development Council (SPDC) era, under military dictator U Than Shwe, and mainly targeted Muslims in Rakhine. Most Muslims in Rakhine at that time needed a recommendation letter from the state government and the director of the immigration department to travel outside of Rakhine State. It is also unclear if what Dr. Win Myat Aye stated will be put into practice as the new policy of the government. The NLD-dominated Parliament had proposed to get rid of Form (4) altogether, and unless it is removed, freedom of movement could remain difficult for NVC holders. Statements from Union ministers, senior NLD and USDP members indicate that different sides and translating the situation differently. Despite the social welfare minister repeatedly discussing the benefits of NVCs, Muslims in strife-torn towns Buthidaung, Maungdaw and Rathedaung are banned from traveling and currently need recommendation letters from village officials and local authorities to even visit neighboring Muslim villages. This indicates that even now, the NVC doesn’t work on the ground and the meaning of the NVC remains a puzzle for the Rohingya.